Concerns raised over Facebook app aimed at young children. 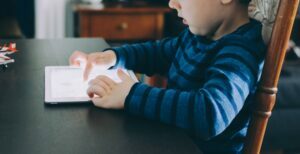 Earlier this week, nearly 100 children’s health advocates and experts from across the US asked Facebook founder Mark Zuckerberg to shut down the site’s recently launched app for children aged six to 12. With 78 percent of adolescents reportedly checking their phones hourly or more frequently, according to the CCFC, and 50 percent of teens feeling they are addicted to their phone, many are concerned at the introduction of a social media app designed for children as young as six. Psychotherapist and lead partner at The Practice East Molesey, Beverley Hills, discussed some of her concerns about Messenger Kids and young people’s relationship with social media. “I have many teenage clients who suffer from anxiety and panic attacks, attachment and abandonment issues due to social media pressures and increasingly this client base is getting younger and younger. Facebook Kids appears to be targeting very young children and we have to look at the impact that may have not only on their immediate world but also the dependent future we are creating. The danger with all of these apps is they are creating desire, a need which can easily become addictive, and the concern is another app like Facebook Kids will lead to an already distressing amount of peer pressure and addiction. Overuse of social media leads to a risk of a delay to emotional and social development in children and young adults and arrested development in adults. Social media users don’t fully engage with one another and many of my young clients suffer from attachment and abandonment issues due to social media use. Read the full story at Happiful.